We are gifted with wonderful teeth by nature. Protecting these teeth from diseases and defects and nurturing them with good diet and hygiene is an obligation for better living. Our dental practice has been working towards spreading wonderful smiles by providing gentle dental care in Chino, CA. Our advanced technological equipment, a qualified team of dental professionals and our renowned cosmetic dentist strive towards protecting and nurturing the smiles in the city. Our genuine effort in working towards building a healthier community has enabled us to have a large network of patients who trust us and rely on us when it comes to their well-being. We truly have made their natural teeth breathe in new life. Tarsem L Singhal Dental Corporation based in the city of Chino in State of California is led by an experienced dentist who performs various dental treatments like Cosmetic dentistry, Invisalign, Dental implants Etc. 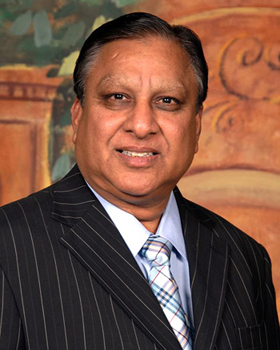 Our best dentist is talented and is an expert in combating dental ailments. The dental professionals at Tarsem L Singhal Dental Corporation are friendly, dedicated and committed towards their service. The prime motive of our dentist is to serve the community of Chino, California with good oral care which the residents in this part of the city truly deserve. Dr. Tarsem L Singhal and his team always listen to your dental concerns and in turn provide suitable suggestions, remedies and treatments. Although we use sophisticated equipment for treatment, the environment is designed to feel like home. Be entertained while you wait for your treatment in our lounge. Our staff makes sure to help you with information and assistance wherever required. Our best dentist carries out various types of dental treatments depending on the requirement of the patient and the severity of the case. Our services range from simple tasks like cleaning and tooth whitening to complex services like root canal treatment, cosmetic dentistry procedures and dental implants surgeries. If you are facing any kind of dental problems and confused whom to approach, don’t hesitate to get in touch with our dentist at Tarsem L Singhal Dental Corporation located in the city of Chino in California. Just drop in to our dental office and our dentist will take care of the rest. Our dental practice treats patients of all age groups with extensive care. Our treatment methods include prosthodontic, cosmetic and endodontic processes. It is the expertise of our cosmetic dentist which comes to play when a patient wants a smile makeover. Thanks to the experience of our dentist, patients can feel better when they are sitting in the treatment chair. 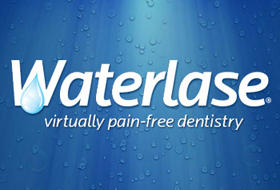 With Waterlase in our practice, most of our dental procedures are painless and much quicker. The laser equipment has revolutionized dentistry by eradicating the need for needle and drill in many cases. Patients can now be relieved from the need for numbing agents during treatment and the irritating sound caused from the drill. Our commitment towards providing gentle dental care, where the patient walks out of our practice happy and healthy, is enhanced through this equipment. Why stay back home and bear the pain of a tooth ache? 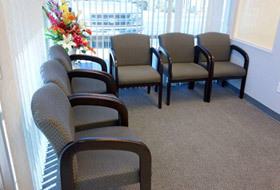 Walk-in to our practice and we heal your pain with simple treatment processes. With healthy and beautiful teeth we assure that you will spread more smiles than hold back. This gives us ultimate job satisfaction!